Chicago has wonderful architecture, public sculpture and art. 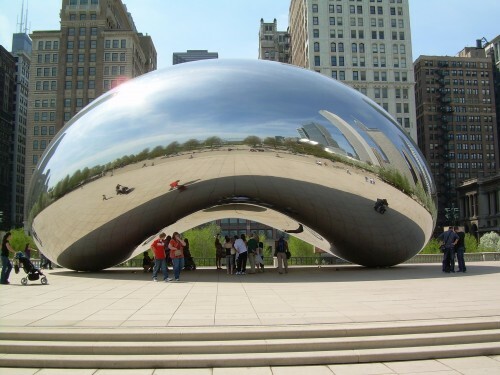 The photo above shows "Cloud Gate" by Indian-born British artist Anish Kapoor. 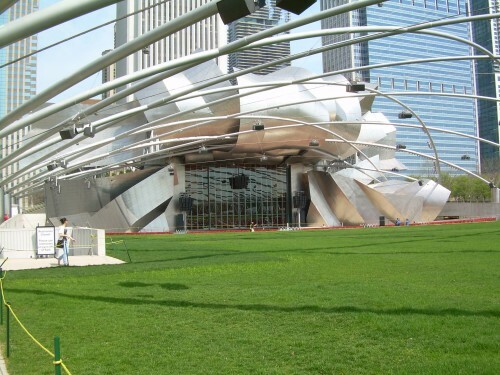 Below is a picture of the Jay Pritzker Pavilion, designed by Frank Gehry and home to the Grant Park Symphony Orchestra and Chorus. Both "Cloud Gate" and the Pritzker are located in Millenium Park, which is part of the larger Grant Park (which, you may recall, was the site of Barack Obama's acceptance speech).